Hydroxyurea tablets are now available for Pediatric Patients With Sickle Cell Anemia. It is indicated to reduce the frequency of painful crises and need for blood transfusions in patients aged ≥2 years with sickle cell anaemia with recurrent moderate to severe painful crises. This is the first hydroxyurea-based treatment for use in pediatric patients with sickle cell anaemia. Hydroxyurea, an antimetabolite, is thought to cause an immediate inhibition of DNA synthesis by acting as a ribonucleotide reductase inhibitor, without interfering with the synthesis of ribonucleic acid or of protein. It may contribute to clinical benefit by increasing fetal haemoglobin (haemoglobin F) levels in red blood cells, decrease neutrophils, increasing the water content of red blood cells, increasing deformability of sickled cells, and altering the adhesion of red blood cells to endothelium. 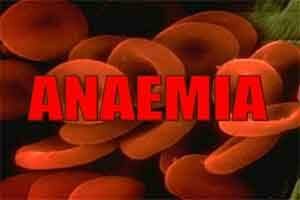 It is indicated to reduce the frequency of painful crises and to reduce the need for blood transfusions in pediatric patients, 2years of age and older, with sickle cell anaemia with recurrent moderate to severe painful crises. The approval was supported by data from a European sickle cell disease cohort study regarding tolerability and efficacy . Initial dose: 20 mg/kg once daily. Monitor blood counts every two weeks. The dose may be increased by 5 mg/kg/day every 8 weeks, or sooner if a severe painful crisis occurs, until a maximum tolerated dose or 35 mg/kg/day is reached if blood counts are in an acceptable range. mg/kg/day from the dose associated with hematological toxicity. Siklos carries a Boxed Warning regarding the risks of myelosuppression and malignancies. It is available as 100mg strength tablets in 60-count bottles.